This Mickey Mouse shirt is too adorable. Perfect for a trip to Disney! 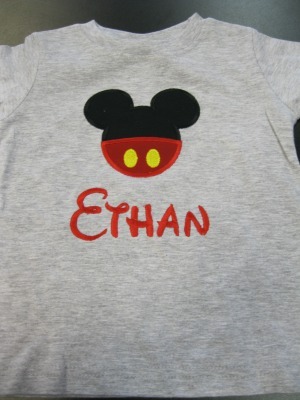 Personalize it with your child's name.